I also had the opportunity a few years ago to tour a house he did in Philadelphia, Mississippi around 1960, and even in the early stages of liking and understanding Modernism, I found I really liked that house. It was sophisticated but comfortable and even homey, not a combination always achieved by Modernists in their residential design. Clopton apparently liked to let his buildings tell their own story, as this is one of the shortest features I’ve seen in the Mississippi Architect series. I’ve never visited the West End School, but perhaps someone who knows more can tell us what they think about the building. Cost Per Sq. Ft. Per Cu. Ft. 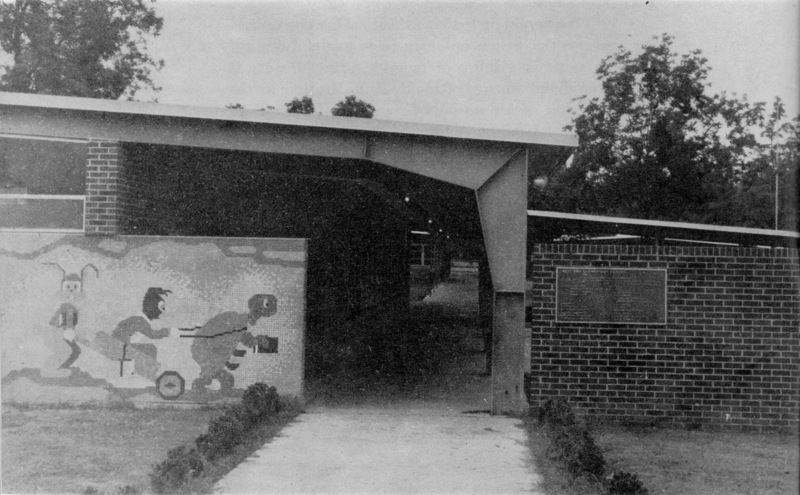 This article is reprinted from the August 1963 issue of the Mississippi Architect, with permission from the Mississippi Chapter of the American Institute of Architects. 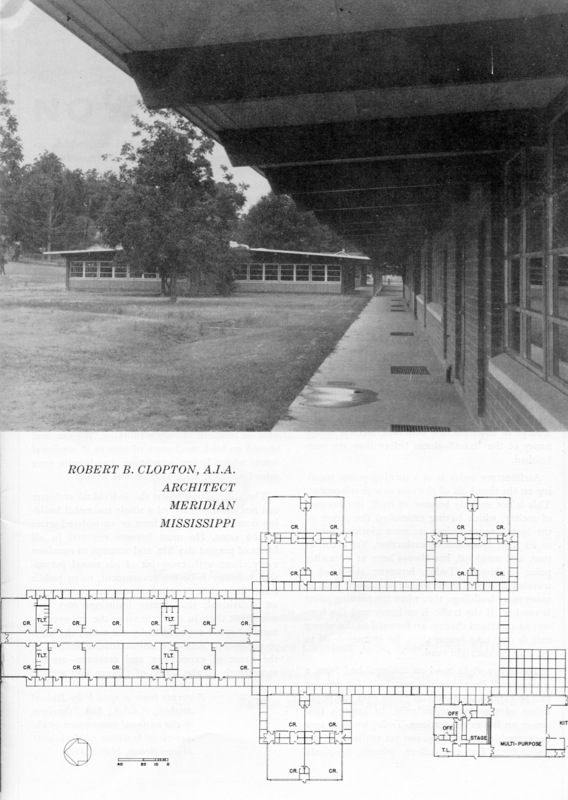 View the full August 1963 issue of Mississippi Architect in a digitized format, or for other articles in this ongoing series, including the pdf version of each full issue, click on the MSArcht tab at the top of this page. Measured and toured the building as part of a re-roofing and drainage improvement project just out of architectural school. I’m not sure if this was originally an equalization school (built in support of separate-but-equal policies) or not. West End is similar to many modern school buildings in the Meridian school system built prior to air-conditioning, although this one seems to have used more brick on the exterior than some examples like West Hills Elementary. That mosaic tile and steel detail shown in the picture is unusual, I must admit. Where on the floor plan is the first image from? Not a very inviting passage way for an adult, and could be down right terrifying for a child. I agree it looks much better in color. After seeing the building in person, I can say the space is much more inviting. The photograph is over exposed and gives the entry way a dark holler effect that it does not have in real life. did you tour the house in Philadelphia, MS? I went to this school for the 1st & 2nd grade. I don’t know how old these pictures are but, that’s exactly how the school looked when i attended in ’87-’88.